What are the Signs of Valvular Heart Disease? The symptoms of valvular heart disease may range from subtle to extreme. Rapid weight gain, fever, dizziness, fainting, fatigue, and palpitations may indicate valvular heart disease. Whether the problem is on the mitral or aortic valves, the challenges can create serious problems. Valvular heart disease is any problem within the heart that affects the valves. The four valves within the heart, the aortic, mitral, tricuspid and pulmonary valves, control the movement of blood around the heart. 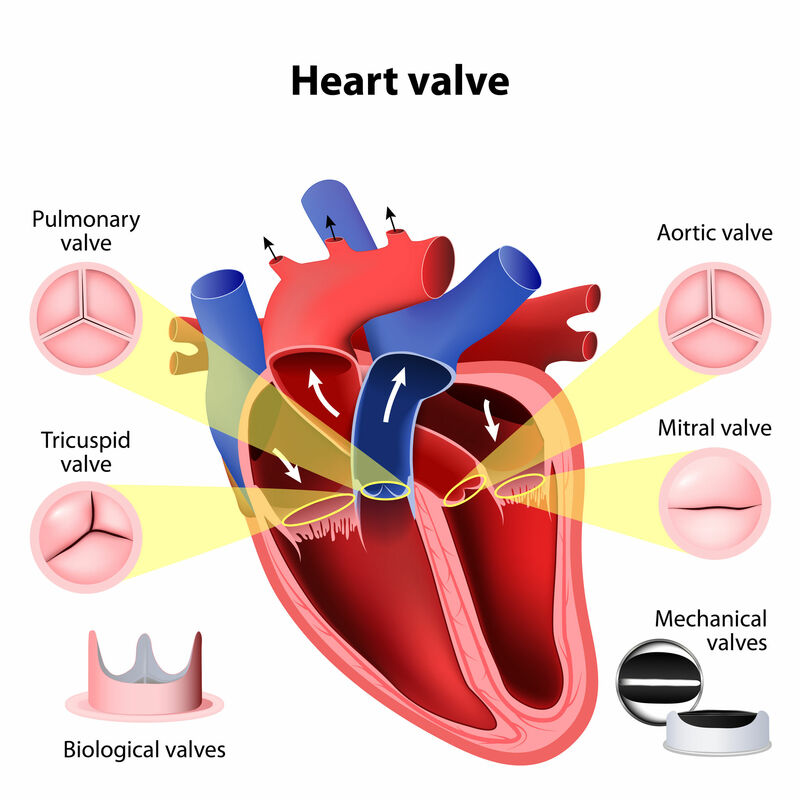 If one or more of the valves become damaged, it is considered valvular heart disease. When all of the valves within the heart are functioning normally, the tricuspid mitral valves control the blood flow between the ventricles and atria= the upper and lower parts of your heart. The aortic valve controls blood flow between your heart and the main vessel within the body, the aorta, while the pulmonary valve controls the blood flow from the lungs. The aortic and mitral valves are the most commonly affected by valvular heart disease. The symptoms of valvular heart disease may include rapid weight gain, fever, dizziness, fainting, fatigue, and palpitations or chest pain. Even if your symptoms seem mild, it is important to seek a doctor’s advice immediately if you suggest you have any problem with the heart and lungs. If you are experiencing any symptoms of valvular heart disease, particularly if you have a history of heart disease in your personal history or in your family, talk to your doctor right away to begin testing and treatment.